When 33-year-old Devanand Londhe, a civil engineer from Kolhapur University, decided to leave his job as a disaster management consultant and turn entrepreneur in 2008, he was in for a rude shock. Despite the economic and social changes in democratic India, he realised that being a Dalit (member of Scheduled Caste) can still create numerous hurdles. Londhe wanted to start a garment manufacturing unit in his home district of Sangli, Maharashtra, but could not find someone who would lend him Rs. 7 lakh to start his unit. A bank denied him the loan at the last minute, without giving any valid reason. This delayed his plans to start the unit by a year, and forced him to sell his house and wife’s jewellery and take loans from a money lender to meet the shortfall. “My qualifications and ability did not matter; age-old perceptions and discriminations did,” says Londhe. In the past two years, however, he has made good progress. Today, he employs 225 people in his business of exporting gloves to Japanese firms and has a turnover of more than Rs. 1 crore. Still, he faces difficulties in getting orders or funding from within the country. It is no surprise then that Londhe feels buoyed by the Confederation of Indian Industry’s (CII) latest open declaration for affirmative action. On May 18, CII President B. Muthuraman announced that the industry body will work closely with the Dalit Indian Chamber of Commerce and Industry (DICCI) to increase sourcing of goods and services from Scheduled Caste and Scheduled Tribe (SC and ST) entrepreneurs by 10 to 20 percent. Today, DICCI has 1,000 entrepreneurs as members, 400 of whom are in Maharshtra. In 2005, when it started, it had only 100 members. “[The CII] should have done this a long time ago,” says Londhe, who could not take up an order from a Tata group company last year for manufacturing 21 lakh pairs of gloves because no financier believed he could deliver to the Tata group. He feels such an open declaration could bring about a sea change in the way Dalit entrepreneurs are perceived in society. “It is a significant event since it is the first time the industry is officially declaring this,” says Chandra Bhan Prasad, one of the leading Dalit thinkers in the country. 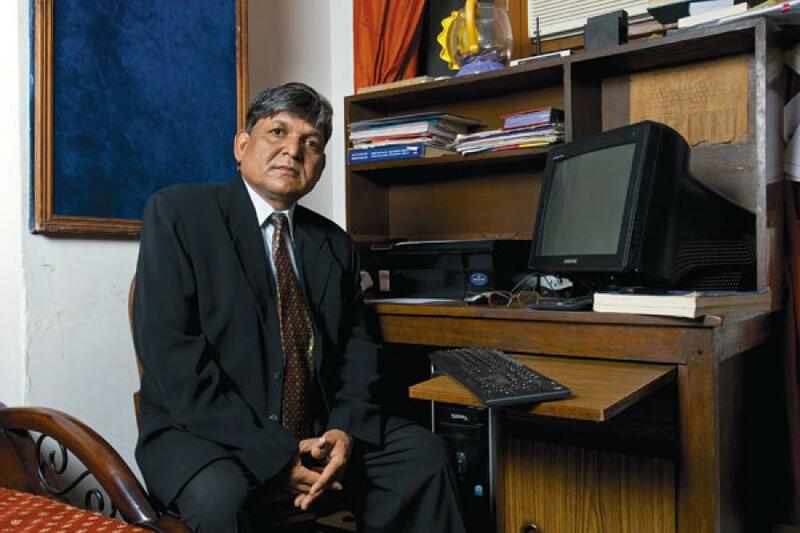 Prasad has been spearheading the cause of affirmative action both in public and private sector. “We started this agenda in Bhopal in 2002 when the Madhya Pradesh government ruled that its departments would source 30 percent of its purchases from SCs and STs.” But the untold truth is that there has been more discrimination in the private sector than in the public. Prasad says that although there are many Dalit businessmen in the country, they are weighed down by negative perceptions and most are unable to grow their businesses beyond Rs. 50 crore. Most Dalit entrepreneurs end up becoming third party suppliers in large businesses. “They don’t get a direct first party contract,” he says. “It is tough enough in government dealings, but in the private sector it is worse,” says Ratibhai Makwana, who speaks from his experience of more than six decades as a businessman in Gujarat, with a turnover of Rs. 200 crore. There is another reason why the call for affirmative action in the private sector is being taken as a watershed event by Dalit businessmen and thinkers. “We want to be job givers, not job seekers,” says Adhik Rao Sadamate of Sadamate Industries, as he complains against the continuing stereotyping of Dalits as incapable of delivering quality. Prasad feels that while the move will benefit many young Dalit entrepreneurs to gain a footing in business, the real benefit is the possible change in the way in which Dalits are looked at, by themselves and others. “We need role models. Dalit entrepreneurs need to believe and this could be the gentle push they need,” he says. Milind Kamble, head of DICCI, says he is busy finalising a list of about 400 members who could well be the first ones to benefit from the CII’s move. The Confederation of Indian Industry (CII) has also set a target of training 50,000 youngsters from among the Scheduled Castes and Scheduled Tribes (SCs and STs)and facilitate an equal number of them with employment in 2011-12. Milind Kamble, head of the Dalit Indian Chamber of Commerce and Industry (DICCI), says the CII would be using its own training centres, in places like Pune and Ahmedabad, for this purpose. By the first week of June, DICCI will be providing the CII with a list of 400 Dalit entrepreneurs, from among its 1,000 members, who could benefit from the CII’s move to increase sourcing of goods and services from SC and ST entrepreneurs. Jai bheem sir, I am very happy to seen this type of personalities. It is very nice to see that our Dalit community members are also starting our industry and we will grow very soon. We should recruit our community members in large scale so that their living standard may be increased. I am an college going person , pursuing MBA from birla institute of technology Mesra , these type of articles make me feel motivated. Would like to have much more knowledge about my community members. Presently myself working as an engineer in Rly but somewhere having feeling to extend hands to needy people among my society...........it could be possible walking on my own feet..........Greatly impressed sir. I on behalf of Integrated Congress of Women Entrepreneurs would like to stress that time has come when the downtrodden SC Community has shown their keen interest to adopt entrepreneurship to raise their socio-economic status at par wit the developed community. But with very heavy heart, I am being compelled to state that the Government Servants ( even after taking huge salaries) are not showing their interest to help SCs to stand on their feet. 1 din hamare DALIT businessman BIL GATES KO BHEE PEECHE CHOD DENGEY.